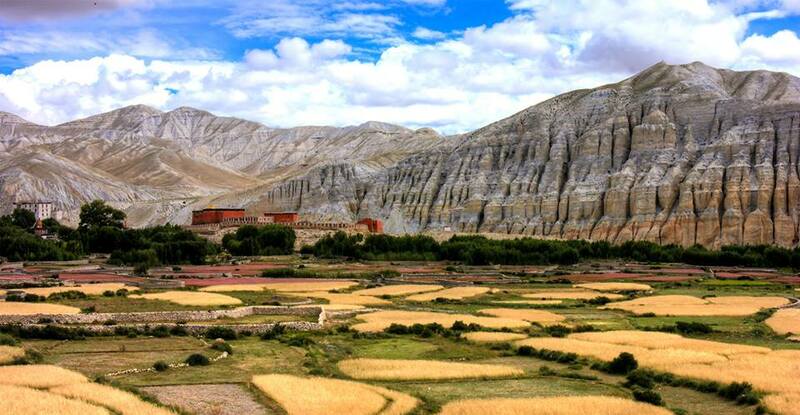 Mustang trek is an exploration of the concealed valleys of upper Mustang in Nepal, nestled between Tibet and the Himalayas – a place different from the rest of the world. The wall city of Lo manthang used to be a part of Tibetan kingdom of Gungthang until 1830s. The early history of Lo manthang is embellished in myths and legends rather than the recorded facts. Even though the upper Mustang is changing it still surprises the visitors with its stunning vista and the stubborn way it cling to its unique culture. Indeed the culture is fighting back, crumbing art works are being restored. Crumbing monasteries have been rebuilt and refilled with the sound of bald-headed children in robes studying the ancient Buddhist ways. Here you will experience the way of life of true mountain people, who were not much in touch with the rest of Nepal for hundreds of years, and even until recent times had an officially recognized king. In many ways, a trek into Upper Mustang is similar to trekking in Tibet, as geographically it is a part of the Tibetan plateau. The district of Mustang was, until 1950, a separate kingdom within the boundaries of Nepal. The last king, the Raja of Mustang, still has his home in the ancient capital known as Lo Manthang. Upper Mustang was opened to non-Nepali trekkers only some fifteen years ago and even today, access is still highly restricted. To enter Upper Mustang, that is to travel further north from Kagbeni, trekkers need special trekking permit and must be accompanied by a government appointed officer. Upper Mustang, being in the Himalayan rain shadow, is one of the regions in the country suitable for trekking even during monsoons. During this time, the upper Kali Gandaki valley is still quite dry with only occasional rainfall. The Mustang trek is not particularly difficult, the highest point reached being only 3,800 meters, but the conditions at times can be arduous. Mustang is cold in winter and is always windy and dusty through the year. Winter treks are best avoided due to harsh weather. There are few accommodation facilities available above Kagbeni, so groups must be fully self-sufficient, especially in fuel. While porters are available in Jomsom it is preferable to use mules to carry the loads up to Mustang. These pack animals are available locally and are more economical, and certainly more environmentally friendly than porters. 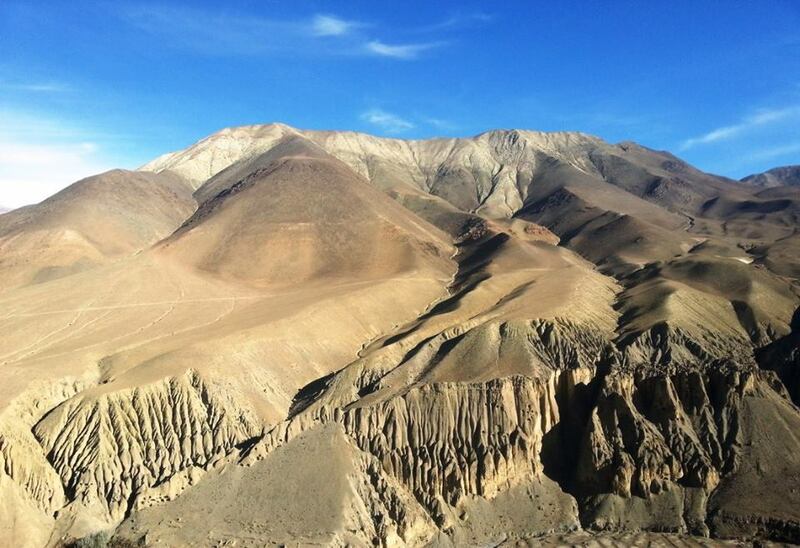 Mustang trek requires a minimum of 9 days, starting and ending in Kagbeni. This allows the trek to be completed within the 10-day period that the permit allows. 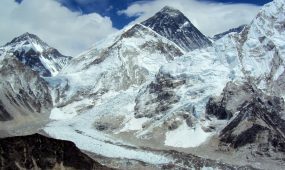 The route generally follows the Kali Gandaki valley but, occasionally climbs high above the valley walls. The settlements are scattered and there is little sign of cultivation between villages. In Mustang, little grows without irrigation, thus the region resembles a desert albeit mountainous, nuclear settlements in fertile areas. Day 10: Rest or explore day of Lo-mangthang. 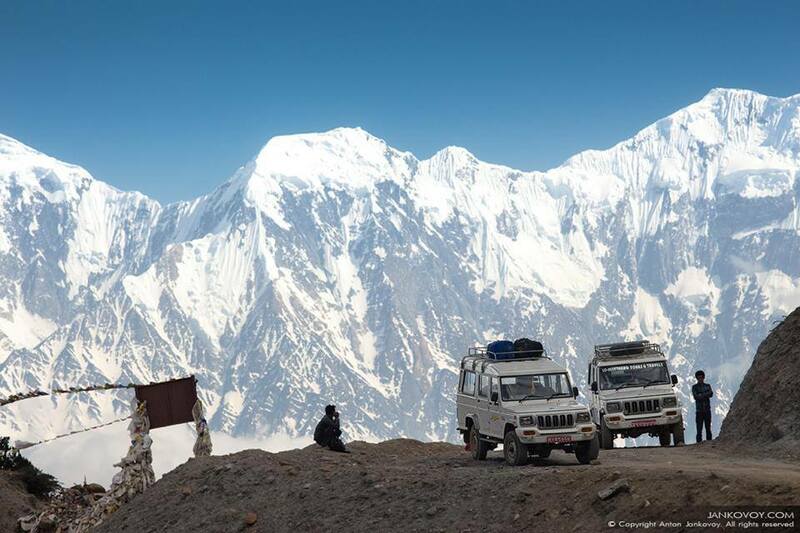 The early flight of half an hour takes to Jomsom on the lap of Himalayas. After taking breakfasts here, you’re walking journey starts to Kagbeni passing Ekali Bhatti. Normally you walk about 3/4 hours today with easy flat land. No tree is found along the trek. Mostly you fallow Kali gandaki river side. Take lunch and rest. Afterward visit the traditional village of Tibetans kagbeni with over 500 years old monastery. And stay overnight. After checking your special Mustang permits in kagbeni the trek goes uphill for while leaving Kali Gandaki River behind. The trail goes to harsh barren countryside all the way with some stops. Here you cross some small and tiny villages as walk progress coming to the town called Tangle, after walking an hour more brings the overnight stop place. Chusang located at the confluence of the Narsang River and the Kali Gandaki River. First villages comes Chele after passing this village the stream via the broken canyons and ruin castle walls on the around cliffs. Pass the river from Chussang are some massive red eroded cliffs higher the mouths of unreachable caves. After passing the tiny bridge an up climb for about 45 minutes brings to Chele town. From this village walk gets steep up for an hour upto ridge at 3,130m, a perfect vistas of Gyagar across a big canyon is visible. Afterwards the path goes up slowly windswept terrain up to at 3,540m. Normal decent for a while takes you to Samar for overnight stay. The trek today fallow the tiny climb above Samar village to a ridge, with a downhill leading to a large gorge past a Chorten anted red, black, yellow and white all the colors are made from local stones. Meeting some Juniper trees the trek goes on to another township. From here the path descends to Shyangmochen, am tiny livings with some tea houses at 3,710m, taking right downhill the trek descends towards to Gelling for overnight stay. From gelling, the path goes up genteelly via the fields up the centre of the valley, crossing below the Tama Gung village, the walk carry on a long climb across the head of the valley to the Byi La Pass 3,950m which is also elevated place of the trek as well the cross itself happens to be the southern bundry of Lo. From here a normal down for half an hour arrives to junction the right trail leads to tsarang where the left leds to Ghami town. Day 10: Rest or explore day of Lo-manthang. Having around 150 houses the Lo-Mangthang village is residence of lamas, the closely located, and palaces and monasteries are in bottom portion in these houses. The school, health post, police post and man significant chortens are situated outside the walls to the north. People from Lo, they are very much Tibetan and practive practical cultural economy. Before strong trade with Tibet was disrupted, all of the salt and wool trade on the kali Gandaki crossed via Lo-manthang. 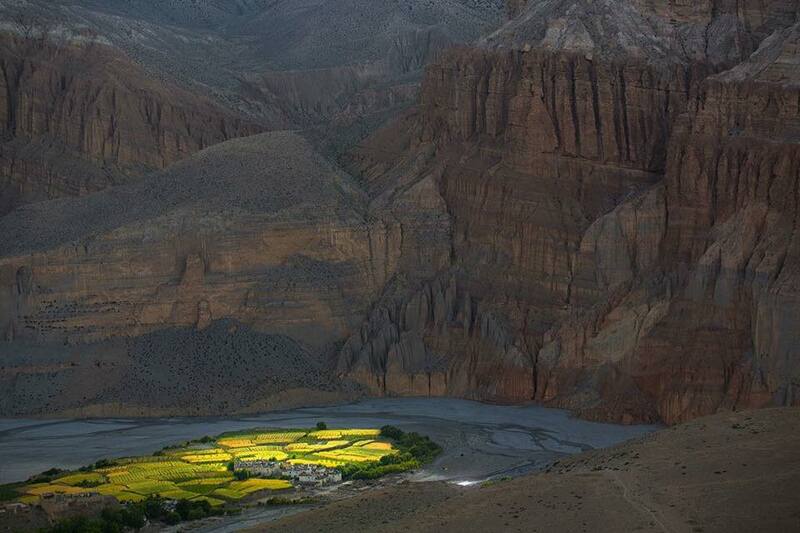 This is the village where the king of Mustang kingdom living. Jigme Parbal bist, and the queen and they are from Nobel family of Lhasa. During the trek you will be exploring all those significant and cultural places. As we start return back from the trek today’s walk mostly goes downhill. However short climbs need to be faced. Firstly you climb up to the top where from the last view can be seen of Lo-Manthang village, then we descends downhill slopes most of the path to Ghami town. Ghimi is another significant town of this area. The path goes straight route to Nyi La, with a climb to the side and then contouring upwards and encounters the road from Tsarang. From the top the steep descend waits all the way to Gelling town. After passing stream once again the trail climbs up towards to large painted Chorten. Then it is straight towards path to overnight camp. Our trek from Samar goes to the less known region by the westerners, descending on the same route for 3 hour via Chele town and then arriving to Mustang Khola, trek leads climbs further up to the ridge, on leaving the village way down below the walks is more less on the gradual uphill trek and we arrive our overnight camp. 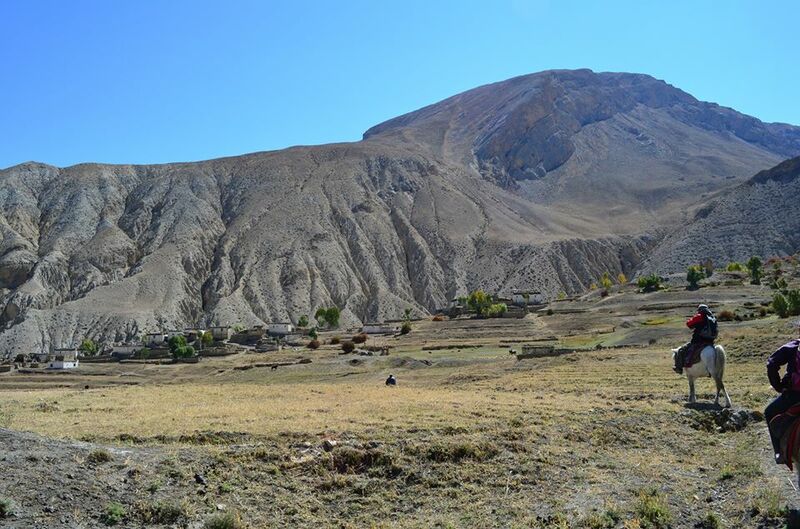 Less frequented upper part of Mustang, you will be viewing more of fellow treks, the trek from the camp towards to slow climb for less than an hour up to 3,970m. Here from the trek leads down slope to Muktinath. The massive views of the Nilgiri and Tukuche peak here from the trek is much bigger. Evening you will visit the holy temple of Muktinath. An early morning flight for about half an hour arrive at Pokhara.If you prefer same day back to Kathmandu which is also possible. But it’s better to spend relax day in Pokhara after long trek. Visit around and stay overnight. Up to you either you want drive back to Kathmandu by tourist bus, car or van. Driving takes about 7 hours and flight takes only 30 minutes. Personal expenses such as laundry, telephone calls, sweets, snacks, tips, etc. • Credit cards, Bank/ATM/Cash machine cards Â for withdrawing funds from cash machines (bring a photocopy of your cards), traveler’s checks, etc. • 1 pair of lightweight poly-liner gloves. 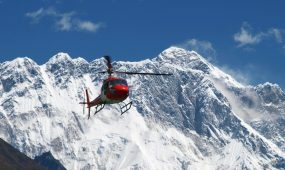 Nepal Guide Info is greatly concerned with health and safety of our clients as well as team. All our outdoor staff members are well insured. 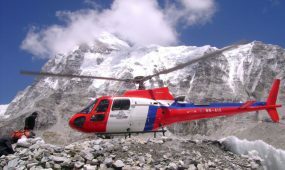 Considering health and safety of our clients, we stress priority to hygienic food to high altitude sickness remedy; from preliminary medical emergency oxygen’s treatment to helicopter rescue. Being one of the Nepal Guide Info (Nepal Planet Treks and Expedition) is well equipped and fully trained in health and safety aspects. 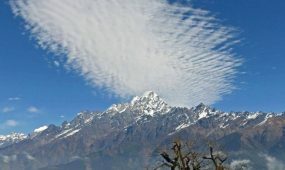 What the meaning of the Nepal? What is the tea house trekking in Nepal ? 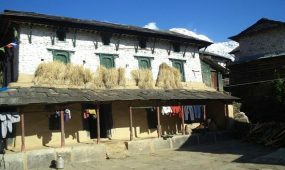 Nepal Guide Info know the Tea house trekking is the easiest and best trekking, as there is no need to do too much organizing where there are well-developed lodgings along the trails. Trekkers walk on average 5 to 6 or 7 hours each day. Food and accommodation will be comfortable, as a variety of food and accommodation is in a lodge or guest house. 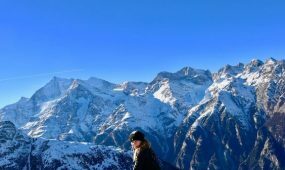 Breakfast is usually around 7:30 am, lunch around 1:00pm and dinner around 6-7 pm We provide tea house trekking within the most common trekking routes for the following regions:- Annapurna, Everest, Langtang, Helambu, Manaslu, Upper Mustang and Nagarkot ChisoPani, Kanchenjunga Base camp, Annapurna Circuit, Tillicho lake Trek as well as many more. We can easily organize any trek. There will be one expert trekking guide who has a well-trained certificate and license issued by the minister of tourism and has more than 12 years’ experience. The guide is always pleased to share his knowledge and experience with clients, so please ask as many questions to your guide. There may be an assistant guide and porters for luggage carrying according to your group size.